Shakespeare In The Ruff is a professional outdoor theatre company serving the diverse neighbourhoods of Toronto’s East End. 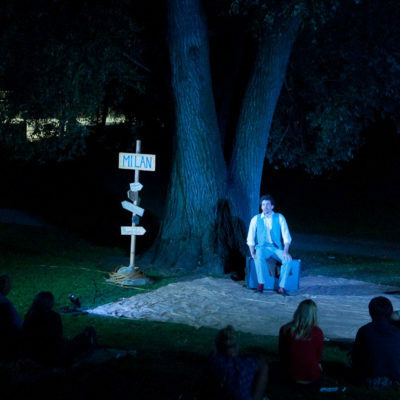 Our work lies at the intersection of OutdoorTheatre, Education, and Community Building. We create original Canadian adaptations of Shakespeare’s plays pushing the boundaries of form and content for outdoor theatre.We bring together local residents, emerging artists, businesses, and non-profit organizations through our activities to build a stronger community. We offer all of our programmingfree or Pay-What-You-Can to ensure accessibility for everyone.